Our kind and caring team members are passionate about helping patients achieve optimal oral health and enjoy bright and beautiful smiles! We’d like you to get to know them better. With more than 35 years in the dental field, Janet is passionate about seeing dentistry change a person’s smile and self-confidence. She also loves working at our family-owned practice and helping patients feel like a member of our practice family. 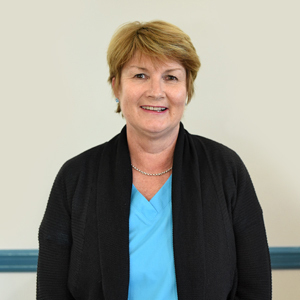 Janet has attended many workshops and taken an array of courses ranging from dental assisting to practice management. When she’s away from the office, Janet enjoys dining out and catching up with friends and family. She also loves to garden and watch her son and grandson play soccer. 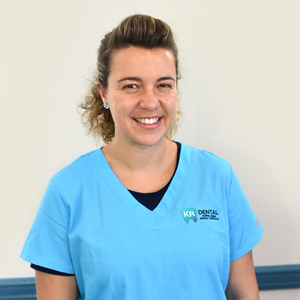 In her role at the office, Alicia enjoys building rapport with our patients and helping to improve their smiles. 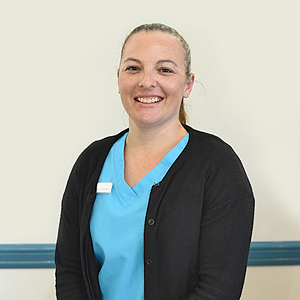 “I love seeing the confidence boost that our patients gain.” She also enjoys having a good laugh with our patients and being a part of enhancing their lives. Alicia has worked in the dental industry for nearly 15 years and has a Certificate III in Dental Assisting. Outside the office, Alicia enjoys spending time with her beautiful family and dogs. She also likes curling up with a good book, listening to music and eating! 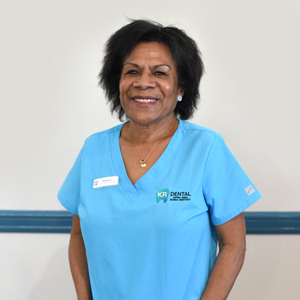 Margaret earned a Diploma in School Dental Therapy while living in Papua New Guinea. In her 35 years in the dental field, which included working as a school dental therapist, Margaret has seen many changes, particularly the increasing use of technology. Outside the office, she enjoys cooking and baking with her grandson. As her mother worked in the dental field, Breanna developed an interest in following in her footsteps. 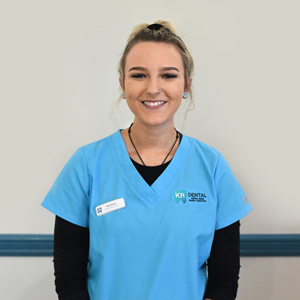 Breanna enjoys caring for and interacting with our patients. Breanna joined our family practice as an apprentice and within a short period of time she has become a valuable member for this practice. 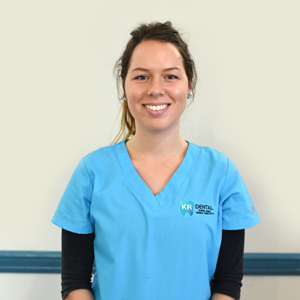 Breanna is currently studying at school and intends to join the industry of dentistry upon completion of year 12. Outside the office, Nadia likes to make jewelry. Serena possesses a Certificate III in Dental Assisting. When she’s not at the office, Serena enjoys going to the beach and painting. Contact KR Dental today to schedule a convenient appointment!